Elshorbagy leads the men’s squash ranking with a huge point difference. 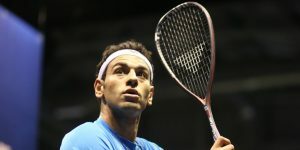 He is followed by his fellow Egyptians Ali Farag and Marwan who also are unmoved from their 2nd and 3rd rank respectively. As, for the shuffle in rankings, 3 players namely Tarek Momen, Simon Rosner and Miguel Angel Rodriguez moved up the squash rankings owing to their previous performances. While, Gregory Gautlier, Karim Abdel Gawad and Ramy Ashour dipped down in the men’s squash rankings. 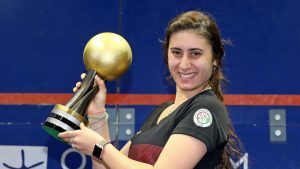 Nour El Sherbini is still the top squash player in the women’s squash followed by her Raneem and Nour El Tayeb who are placed 2nd and 3rd respectively. Players who upgraded their ranks in the top 20 women’s squash rankings were Camille Serme, Victoria Lust and Salma Hany. Whereas, players who went down from their original rank were Nouran Gohar, Olivia Blatchford, Joshna Chinappa and Dipika Pallikal Karthik.